Kerala’s small yet bustling capital is frequented by most travellers as a stopping off point for the beaches of Kovalam and Varkala. Generally referred to by its colonial name, Trivandrum, it boasts some impressive museums warranting a visit. Our pick of the best places to stay in Thiruvananthapuram combine both city and coast. For the best weather, plan your visit between December and February. The Museum of Heritage and History has an insightful collection of traditional Keralan artwork and pieces whilst The Napier Museum, designed in 1880 by Robert Chisholm is worth visiting for the impressive architecture alone. Varkala especially has become something of a yoga haven. Pick up your mat and try out your downward dog. A once sleepy fishing village, Kovalam has become one of Kerala’s most popular beach destinations. With five star resorts aplenty this is easily one of the best places to stay in Thiruvananthapuram for those who want to experience beach life without the sandy bed sheets. Or for a more casual affair, perched atop an almost perilously vertiginous cliff face, is Varkala. As with its luxier counterpart, Varkala has become one of Kerala’s top beach hangouts however it attracts a younger, backpacker crowd. Both have pristine, almost deserted beaches to the north and south, however out of respect for the local culture they may not be as appropriate for swimming. The artworks at The Museum of Heritage and History and the architecture of The Napier Museum. Our pick of the best places to stay in Thiruvananthapuram, whether in town or coast, provide a stylish stay. 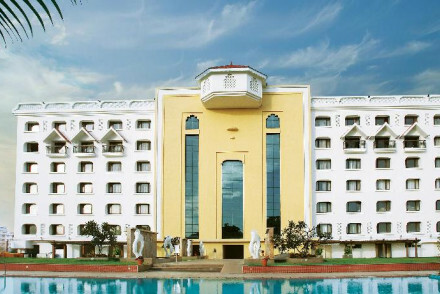 If you want to be in the heart of the city go for Vivanta by Taj Trivandrum. As with all Taj properties you'll get great service and excellent facilities all with easy access to both the sights and business district. Leela Kovalam offers beach life deluxe. Here there's a private beach, infinity pool and several dining options. Vivanta by Taj, Green Cove is a tropical hideaway with chic interiors and plenty of on-site activities. Yoga, meditation and Ayurveda are all widely practiced in Kerala. Wherever you stay you will leave feeling reincarnated. Or for something more luxurious, yet no less authentic go for Surya Samudra Beach Garden. Amrutham Gamaya is a holistic hideaway where you can choose from yogic, meditation or Ayurvedic retreats for a truly revitalising experience. Fly to Thiruvananthapuram international airport which is well linked both globally and to India's major cities. Trivandrum's Central railway station has good connections across India. The best time to visit Trivandrum is between October and February. February to May is summer, which is very hot and humid while June to September is the monsoon season. The second rainy season, the North-East monsoon, is equally strong and occurs during the months of October and November. From global name hotels to boutique retreats browse through our list of the best places to stay in Thiruvananthapuram to start to plan your trip. Alternatively widen the net and check out all our recommendations in Kerala. Providing all the facilities you would expect from a such a renowned global chain, relax knowing that you are in good hands. Located in the heart of the city with easy access to both tourist spots and the business district. Modern rooms enjoy an Indian twist as does the cuisine. A sensible choice. Sights nearby - Built in traditional Tamil style Padmanabhaswamy Temple is an impressive visit. Sailing - Take a boat out on the idyllic Vellayani Lake.